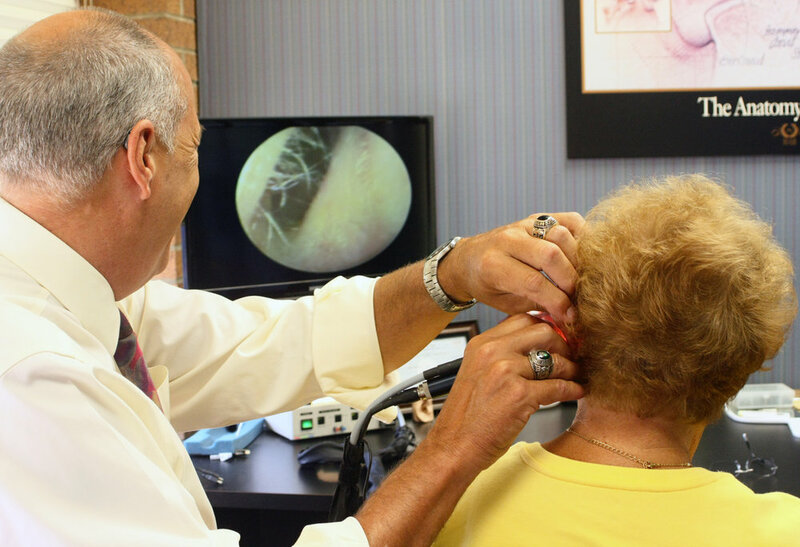 For 80 years, Acousticon has been Greater Binghamton's premier provider for personalized hearing aid care. Visit our office in Johnson City to learn how we can improve your quality of life! When an individual can’t hear, it affects their relationships with family, friends, and coworkers. The ability to hear is the ability to communicate and connect with others. At Acousticon, our foundation is built upon loyalty and transparency. We strive to offer the latest technology, and the best experience for you and your loved ones. Since 1934, we have valued our clients like family, and time and time again they prove to us that we are changing their lives with better hearing. How has the hearing aid industry changed with advancements in technology? Over the years, one of the greatest changes I've seen is in the Flex:trial program. We can give a client a set of hearing aids risk free on their first visit to our office. We advise them to wear the hearing aids in every situation they have difficulty, and experience the difference. What would you say to someone considering hearing aids? For anyone considering hearing aids, I would recommend they come in, meet us, and go through a Flex:trial. Try the hearing aids at work, home, with family and friends, with no cost or commitment, and see the difference. I wear hearing aids myself, and I can't imagine my life without them. Between work, talking on the phone with my daughters, and keeping up around the dinner table, my life is surrounded by sounds I can't miss. Which qualities are most important to you when fitting someone with hearing aids? There’s a saying that we have two ears and one mouth for a reason. My position is to listen to what you’re telling me, fine-tune adjustments accordingly, and make sure you leave ready to take on the world. Why should someone considering hearing aids choose Acousticon? Here at Acousticon, we emphasize follow-up appointments after a client is fit with their hearing aids. Before you leave the office, you’re scheduled for a follow up appointment one week later, and any more you'd like after. This relationship enables us to learn your lifestyle, program your settings, and ensure your happiness.